There are more business models for the integration and management of the fuel and retail operations than most people would ever imagine. Similarly, each side of the business brings with it the requirement for unique skill sets. It was generally considered that traditional fuel wholesalers moving into retail often failed to execute at a top level on the store side, and traditional store-focused operations found themselves distracted by the myriad of regulatory requirements and the challenge of efficiency in a pennies-per-gallon business with fuel procurement and distribution. As the years have passed since the great convergence began in the 1970s, the largest players (and many smaller ones as well) are typically excellent at executing both sides of the operation. 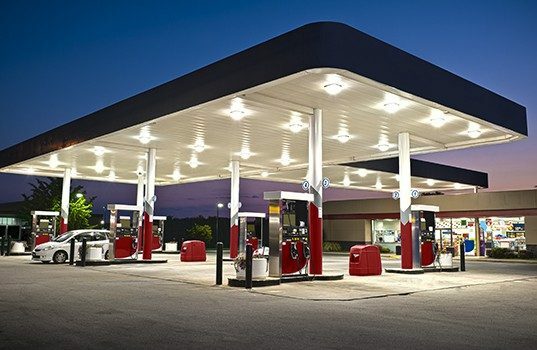 But, not all fuel distributors with retail are interested in managing those sites or their dealer tenants. The same applies to a range of less traditional and often far more temporary operators (retail investment trusts, distressed asset managers, private equity investors, etc.) who see retail sites as more of a financial investment play than a vocation. For these operations, StrasGlobal offers services ranging from turn-key retail management to consulting on specific aspects of retail operations. After 20 years running U.S. based Quix convenience stores, and developing and growing Convenience Management Services (CMSI) in the U.S. and around the world, Roy Strasburger bought CMSI from his family in 2012 to focus on small format retail management services in the U.S. The company rebranded as StrasGlobal this year. FMN interviewed Roy Strasburger to discuss this interesting business model, the challenges involved and the opportunities for marketers. FMN: You seem to offer a very broad range of services, to a broad range of clients that includes full turn-key retail management. Strasburger: That’s exactly what we’re trying to do—provide a solution for whoever needs one. And, we are also trying to take the unpleasant parts of the business off the table for people who would rather just get an income or run the business from a higher level. We do the dirty work of running it, staffing it and making sure everything’s taken care of on a day-to-day basis. It’s very interesting and it can be very exciting sometimes. FMN: With such a broad client base, is there any group that you would consider to be more typical? Strasburger: Historically our clients have been major oil companies or fuel wholesalers. People who own the dirt but either don’t want to run it or they have a situation where they are transitioning between dealers or transitioning between some other type of operator and they need us to come in as a bridge to keep the business going. FMN: Nontraditional players are also part of your client base. Strasburger: When we got into this business originally, we were doing a lot of work during the late eighties and nineties for financial institutions. We would go in and run stores for banks and lenders who got the stores in a foreclosure or bankruptcy. For this approach, we focus on providing a temporary operations solution for people who don’t have the operating capacity to handle the sites. We go in, we operate it for 60 days to six months, then we turn it over to the new operator. We’re now working with more private investors. There seems to be a bit of cash floating around in people’s bank accounts and we’re getting calls from people who want to buy sites. It could be part of a real estate play—they find some property and they want to do something else with it but there is a convenience store on it and they want us to run it for them for a while. That might be two to four years until they do the redevelopment. Or, there are people with the idea of rolling up a number of sites to maybe sell them to a 7-Eleven or Circle K at a later date. And that’s also on a three- to five-year horizon for how long we’re going to stay in those sites until they can get them up to a critical mass and get the multiples up so that they can sell them to somebody else. FMN: I would imagine there are business opportunities with succession planning. Strasburger: It’s interesting that you’re bringing it up because I’ve been getting a lot of calls lately from people who have one or two stores and the parents are getting on in age and they’re tired. They’ve done a really good job with the stores, they’ve educated their kids who have become doctors and lawyers or tech people and they don’t want to sell the business because they’re making money from it. But they don’t want to run it anymore themselves. So, they call us up to see if we can help. FMN: While the caretaker functions are important, I understand that you do more than just a basic maintenance of the sites. Strasburger: Typically, when we come into a store, there’s a reason for us to be there. Back in the old days, if a dealer was going out, he ran the store down. If a financial institution called us, it’s because they went into bankruptcy. Even now, with these investors, people start to kind of let them go a little bit when they are being sold. So, our first big job is to go in, do a deep clean on the store, make sure they’re fully stocked and stocked with the right products. Then we look at right sizing the staffing requirements for the opportunity. Beyond that, we’re really good with environmental compliance issues. We know how to take care of the inventory, make sure the readings are done correctly, get the inspections taken care of and all this stuff that goes with that. And more proactively, we can implement our marketing and merchandising programs to try to maximize gross profit numbers. We try to use the buying power we have running stores around the nation to help that happen. FMN: How does your fee structure work? Strasburger: Our fees basically just cover our cost of doing business. The way that StrasGlobal is profitable is that we are based on a performance incentive in which we get paid if we improve the performance over the previous year. We are highly motivated to improve the performance of the stores because of our compensation structure. Typically, we almost always get an increase in sales and an increase in gross profit dollars when we take over a site. FMN: What are some of the more notable management problems you encounter with operations? Strasburger: A top one is the relationship with their staff, especially on compensation. I think that most people are trying to squeeze their labor budget as much as possible and that just provides people that are not happy. It’s hard to attract really good people if you’re just paying minimum wage. The other point on the management side is that owners are very reluctant to move their product selection more towards items that reflect their neighborhood and their local demographics. FMN: That’s interesting because you typically assume the smaller operator has more of a handle on that, and this aspect might be more of a challenge from your end. Strasburger: I think many operators take a one size fits all approach. What we try to do is to create a marketing program that’s very specific to that neighborhood so we’ve got the right products and we’ve got right pricing. FMN: What size operations will you work with? Strasburger: We will do between one and a thousand stores or more. We give everybody our fee structure upfront and then we have to make sure that it fits into their financial model. The biggest challenge with small operators is that we provide a professional office approach, but that comes with some overhead compared to an operation that might have been running along on QuickBooks. But we will work with them if it works for them. FMN: How do you work with the existing store personnel in what would certainly be an unnerving environment, at least at first. Strasburger: Well, the first thing we do is that we’re very upfront with everybody about what our company does and who we are. We want everybody to know that based upon that relationship, we may only be in there for a few months. The second thing is to provide an organizational structure so that those team members can feel that they are part of larger enterprise and we treat them with respect and just as we would like to be treated ourselves. And I think that does a lot to calm people down. The third thing that we try to do is provide training for everyone, even if they’ve been there for a while, in all the basic aspects of convenience store retailing. They can improve their skill sets if they want to go somewhere else. We want to make it a value add for them being here. And fourth, we tell people that if you stick through it with us and everything goes well, we will do our best to try and get everybody who’s in the store hired by the new operators. We try to make sure that they all have a place to land. FMN: Describe how you work with a marketer operation that already has a dealer network. Strasburger: We can help marketers manage their dealer networks. We’ll provide the supervision and the tools to help manage their dealers so they can try to maximize and optimize what is going on in their site. Usually the fuel distributors are really just concerned about the fuel side of the business and as long as the gallons are going through, they’re happy. But what we’ve discovered is that if you take care of the dealers and maximize their opportunities, the gallons go up because you get better customer satisfaction. The dealers are happy because they’re given some help and guidance on how to run an efficient and productive store. Therefore your churn factor is less and you don’t have this continuing problem of hassling with your dealers all the time. And if you’re branded, the oil company’s happy because we work with them to maintain the site’s standards—cleanliness and mystery shops, inspections—making sure everything’s done where it needs to be done. FMN: From a pure consulting perspective, I would assume a client can be a top operator and still need some advice or a second opinion, now and then. Strasburger: An extra set of eyes or an outside perspective can be very valuable. I’ve been in the convenience store business for over 40 years. Everybody who works with me on the operational side of it has been in business for at least 25 years and we all have national experience running all types of stores across the country. And most of us also have experience running stores internationally. My family company, Strasburger Enterprises, was involved with operating retail sites in 33 countries, helping people like Shell and Mobil develop their retail programs overseas. I was responsible for that development. So, we can bring in ideas that we see everywhere. FMN: We’ve discussed more temporary management solutions. Are you in a position to basically take over a marketer’s retail operations long term? Strasburger: We will operate them for as long as anybody would like. When we go in to operate a site, there is no fixed term. And our arrangement can be terminated with 30 days’ notice for no cause. However, anything over a three-year commitment gets a discount on our rates. I’m always looking for five- and seven-year-horizons to be operating sites for people. And, the more we do that, the more benefit I think we can bring to the client. FMN: How do you assist with the technology aspects of retail operations? Strasburger: The technology that we usually find is rudimentary at best. It’ll be whatever the fuel controller that the oil company or the pump manufacturer needed to operate the site, and that’s kind of where it stops. We provide the PDI back office. We can run all of the PDI reports and information that they generate for the client. It’s a very robust accounting platform. We can also handle most of the IT support that is necessary to run our programs so the client doesn’t have to worry about that. And if you consider ATMs and things like that to be technology, we bring those in with us if there’s not already something in place. Whenever we find new ideas or programs that are more technology related, we suggest them to our clients and if there’s any cost involved, they have to sign off on it before we do anything. Then we move forward.